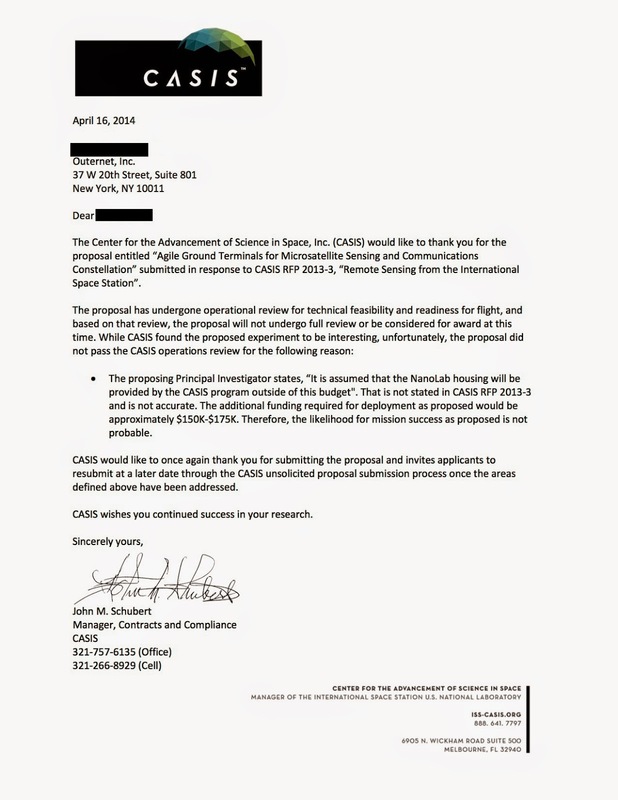 I just got a chance to read this rejection letter for testing our broadcast material from space. We're actually not sure what this means since our project was self-contained. As our CEO put it "There is no quick explanation; it's NASA. They just weren't into the project, I guess." Note (11/3/14): At the request of the individual who assisted Outernet in its application, his name has been redacted.